Hey! 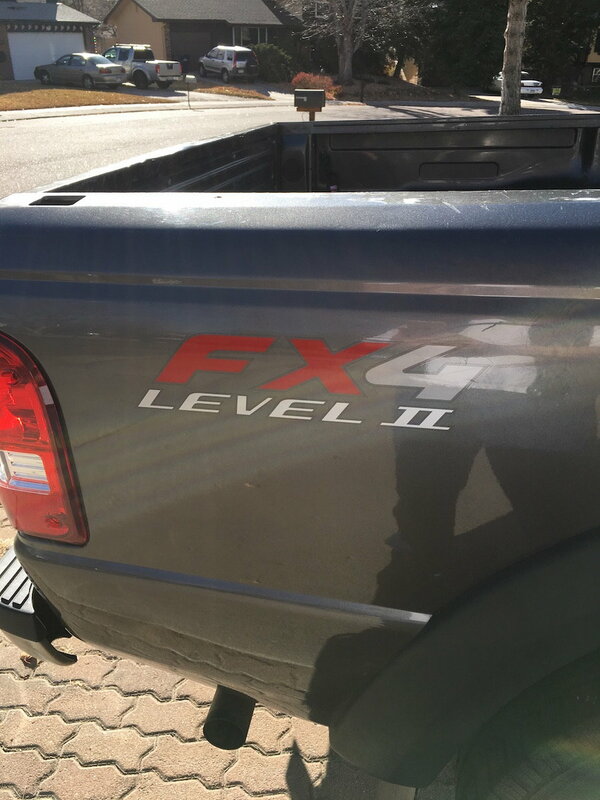 Does anyone by chance have a vector or high res jpeg of the FX4 level 2 decal?? If not I will make my own and put them on here, but if it's been done properly already that would be awesome!! Thanks!! I don't, but at $20 for 2 of them why are you wanting to make your own? Just curious, did you want to change colors or resize them? ^^^ What RonD said. A pair of them for $19.96 on eBay. Ah... a little custom work! Air brushed should look nice. Going to replace mine. Thought i might stop by a sign shop to get some idea's. 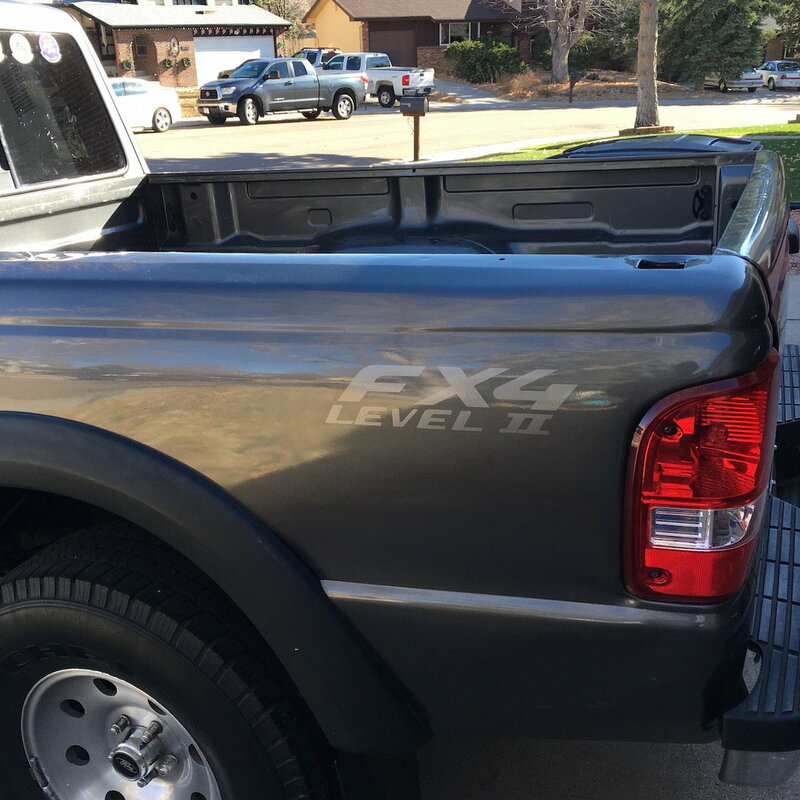 I want mine to blend into the Dark Shadow Gray paint. Just not a fan of the black/red/white scheme it has. Just got back from a local sign shop. He came out and measured it, jumped online and found a picture, fed it into his system, agreed on a color swatch (slate), and placed the order for $9 a side. Should be ready this Wednesday. Win-Win! He showed me outline or solid, so that may be an option for you too. I hadn't checked in on this thread in a while but that looks good!